This is my youngest son. We call him Alby. Alby has faced many challenges in his life. 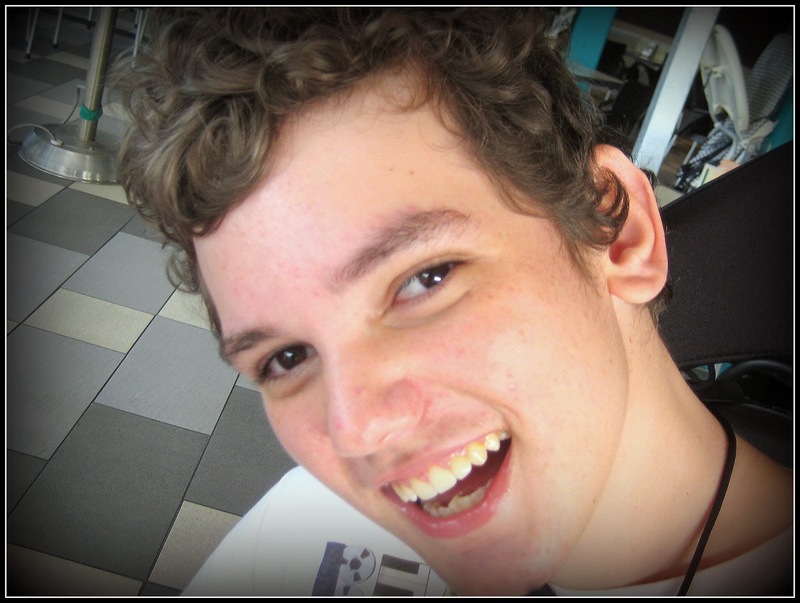 One has been the fact that he was born with Cerebral Palsy. Alby has a great life. He lives in his own home, has a dog and a garden and 24 hour support from a great team. But he's still trying to figure out who he is. Is he Alby the Anime fan? Surely there's more to him than Naruto reruns. Is he Alby the Greyhound owner? Well if his dog is the measure of his worth, then I have to wonder. She's a Chihuahua in a pony's body and adorable but not that bright. Is he Alby the sports fan? Nothing wrong with that, but where's the sense of accomplishment in that, other than vicariously? He and his eldest brother have cooked up a new business for Alby. It's a small lot productive garden business, and he is his own guinea pig. 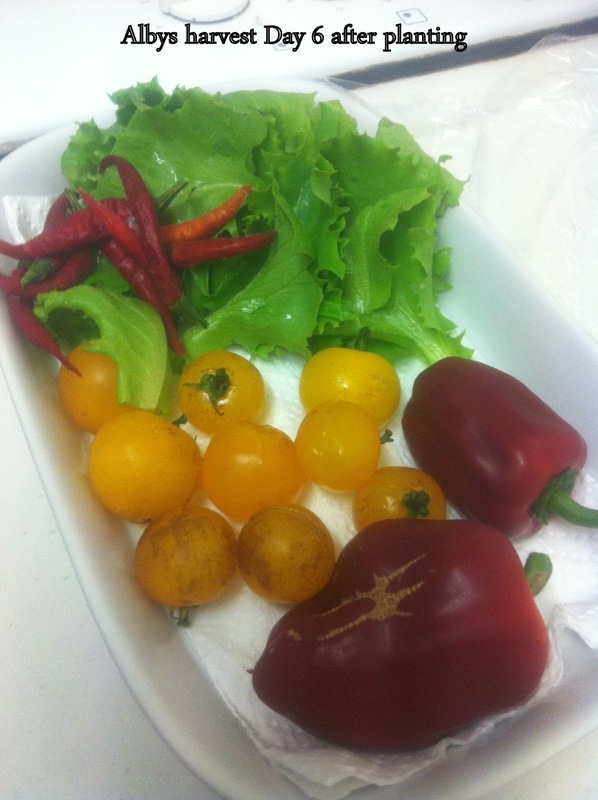 The purchase of a couple of pretty ritzy garden pods, recently installed in his courtyard, yielded this harvest of lettuce and yellow cherry tomatoes after just six days! The capsicums (peppers) and chilli were already in his garden. So Alby has decided to start a blog, recording the successes and perhaps not so successful ventures of his garden and his growing business. That's his brand spanking new blog, on my list of blogs I follow on your right. He hasn't said much yet, but believe me, once he gets going, he'll never shoosh up! I know that much about my boy. Will you help by visiting his new blog and becoming a follower? I'll meet you over there! I sure will! Love Entrepreneurship! How awesome! I'm going eight there! his blog and becoming a follower..............That is just great he is starting his own business. Hope all is well with you. We are still having fun. Absolutely I will! I'm smiling BIG reading this! What an awesome young man you have there Mimi. It will be a delight to follow his blog. Tell Alby I am jealous. His veggies looks so delicious. I will be checking Alby out. That is so awesome, I wish I could grow a garden that looks like that! Yes I will be following as well!! You must be so proud Mimi! That's wonderful. I wish him all the success he deserves (and those veggies look fab!). I will be following along on his journeys!